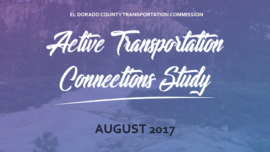 The El Dorado County Transportation Commission (EDCTC) hired Alta to analyze its proposed active transportation network in the western slope of El Dorado County and identify which corridors have the greatest potential to be successfully funded through a grant application. 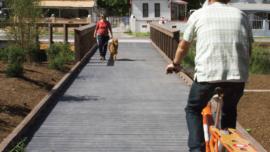 Like many rural communities with relatively low population densities and limited financial resources to pursue grant applications, the EDCTC identified the need to take a step back and evaluate which of the 100+ projects in their countywide bicycle transportation plan had the greatest potential to receive outside funding. 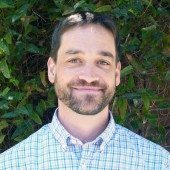 Alta worked with residents, staff, and other stakeholders to calibrate our analyses to El Dorado County’s unique character and needs. 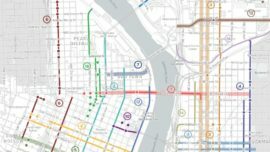 The analysis combines performance measures that mirror grant application criteria—such as demand, connectivity, safety, equity, health and environmental impacts, and costs and benefits of each of the proposed active transportation projects—with a feedback from county residents and staff to create a flexible end-product that can be customized for each grant application cycle. 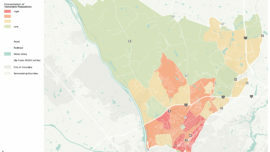 Performance measures included estimated travel time reductions; potential increased access to jobs, schools, parks, and transit; gap closures in the existing active transportation network; forecasted facility usage, potential to reduce collision risks; potential to reduce greenhouse gas and criteria pollutant emissions; location within disadvantaged communities, potential to encourage increased physical activity; and total costs compared to total benefits.